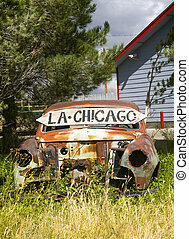 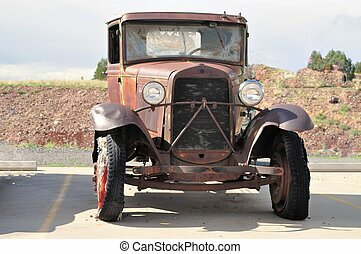 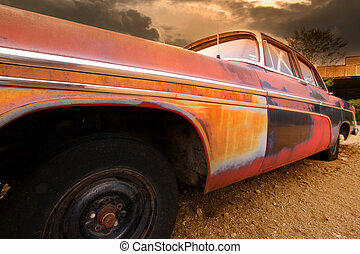 Old rusty car along historic us route 66. 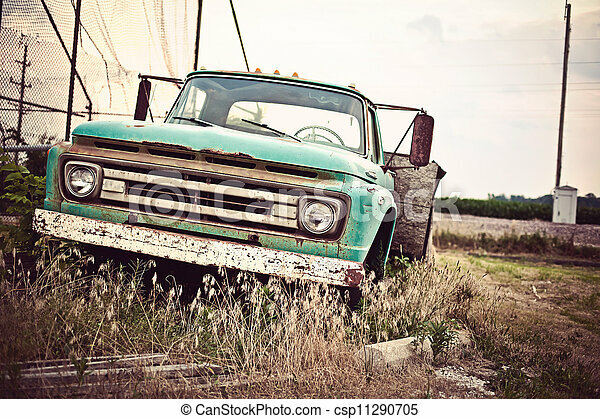 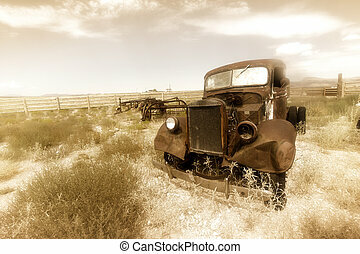 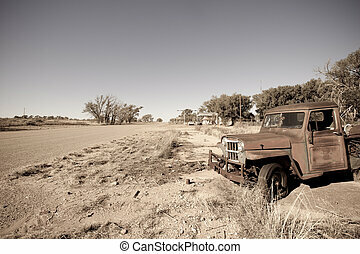 Old rusty car in abandoned town along historic us route 66. vintage processing. 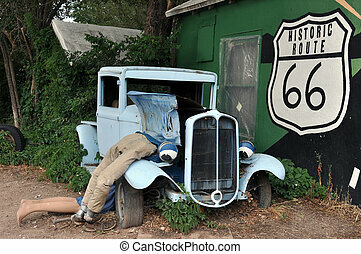 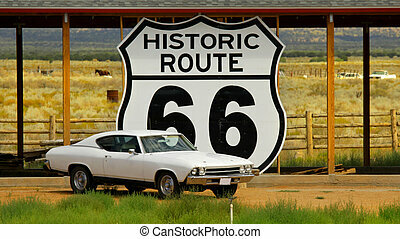 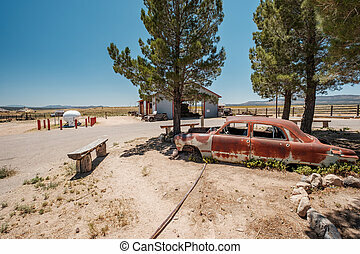 Car travels along the highway east on Historic US Route 66 in northwestern Arizona, USA. 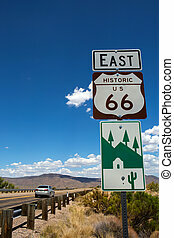 Closeup of historic Route 66 road sign along the Main Street in Barstow, California on the blue sky. 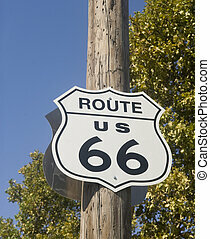 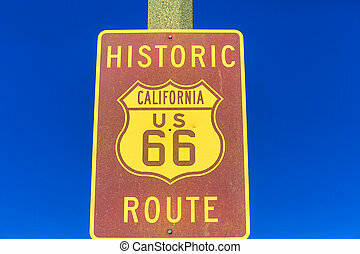 Famous Mother Road or Sixty Six sign, United States of America. 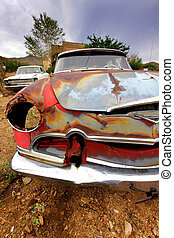 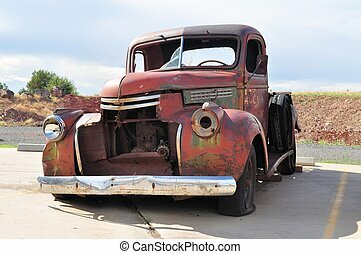 Rusty car wreck of an oldtimer at Route 66, Arizona, United States of America.